Both residential and commercial clients can take advantage of epoxy floor coatings and the many benefits and features they offer. 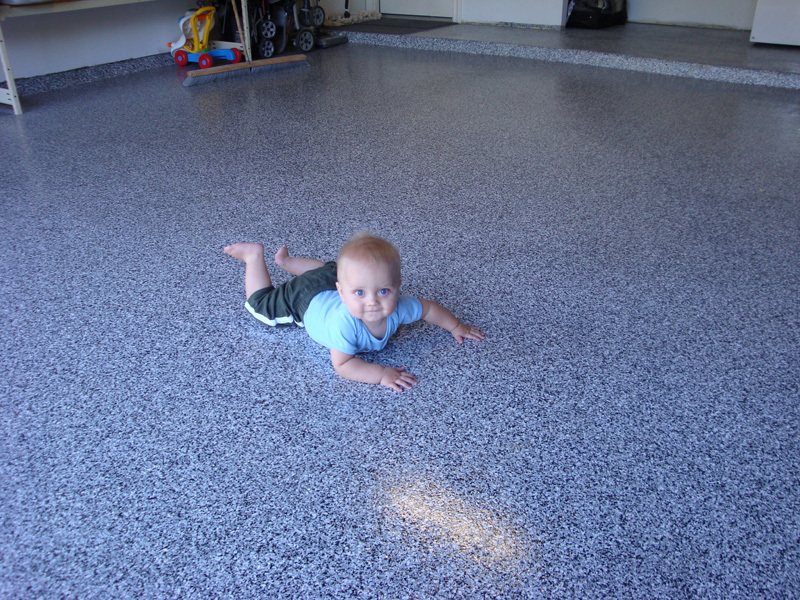 Epoxy coatings are used to protect, seal, enhance the look of, and refresh concrete floors. They are very durable and last for many years with little to no maintenance. A typical epoxy floor coating system is comprised of a base coat and top coat. The base or primer coat is designed to attach itself to the substrate (usually concrete) and provide a clean primed surface area that is ready for the subsequent top coat(s). Epoxy is similar to a paint in the way it is installed but offers advantages that far exceed any paint or acrylic coating. High quality epoxy coating systems are usually two-components that are mixed or blended together. Once mixed a chemical reaction begins. Epoxies are unique in that they can be manipulated chemically to dry and cure at different rates. Some epoxies are designed to cure in freezing temperatures (ideal for cold rooms and commercial freezers) while others are designed to set up fast for immediate anchoring or fast crack repair. 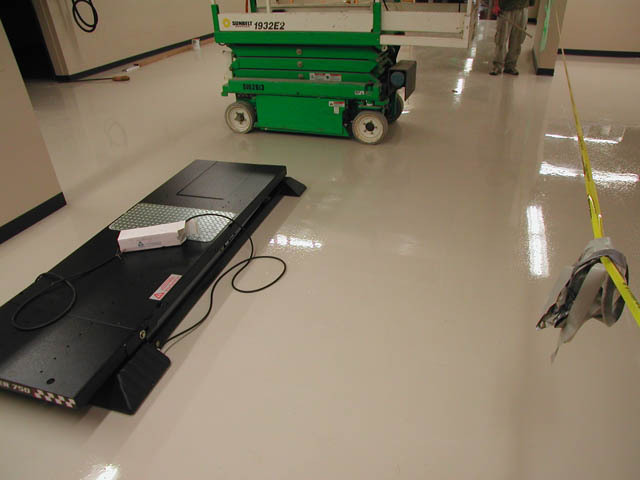 Generally floor epoxy coatings are designed to give ample time to work with them, but still provide a relatively fast cure to allow for foot traffic and vehicles soon after installation. Epoxy coatings are available in 100% solids or varying levels of solvent dilutions. The thicker (higher solids content) the material the less ideal it is for penetration and grabbing onto the substrate. You can also purchase water based epoxies that are more user friendly but can take a bit longer to cure. While epoxy coatings are available in clear, many opt to add color and opaqueness to help hide surface blemishes and imperfections while adding a bright and clean surface finish to the concrete. You can also add anti slip additives to an epoxy to make the floor less slippery and safer. Epoxy coatings have a pot life, dry time and full cure time. The difference is: Pot life is the amount of time the blended epoxy can remain in the bucket before the product begins hardening. Dry time is the amount of time before the epoxy is dry to the touch, and cure time is the amount of time until the product has reached maximum hardness. Color Flake Epoxy: Uses vinyl color flakes or chips to add a layer of color and texture to a surface. Epoxy Quartz: Incorporates quartz sand builds a thickness to the coating that is extremely hard and durable- Often used in food and beverage plants for heavy duty use. Metallic Pigment Epoxy: Creates a metallic swirled and mottled effect that is unique and powerful in appearance. Great for that one of a kind floor finish.